Several schools in the Chicago area announced closings or delayed start times on Monday amid snowfall and a Winter Weather Advisory across the region. Schools began reporting late openings or full closures Sunday evening, hours before snow even began to blanket the area. Lake and McHenry counties in Illinois, as well as Kenosha County in Wisconsin were under a Winter Storm Warning through 6 p.m. CST Monday, according to the National Weather Service, which warned of heavy snow through the morning with accumulations of 6 to 8 inches, plus freezing drizzle resulting in an icy glaze. 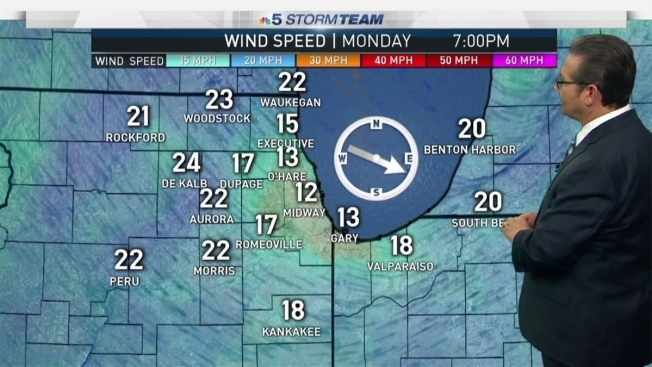 De Kalb and La Salle counties were under a Winter Weather Advisory through 6 p.m. Monday as well, while Cook, DuPage, Grundy, Kane, Kankakee, Kendall and Will counties in Illinois, plus Jasper, La Porte, Lake, and Newton counties in Indiana were under a Winter Weather Advisory through 9 p.m. Monday. DIST #208 (RIVERSIDE BROOKFIELD HIGH SCHOOL): OPENING LATE AT 8:40 a.m.
DIST #218 - OAK LAWN: OPENING LATE AT 9 a.m.
DIST #230 (STAGG, ANDREW & SANDBURG HIGH SCHOOLS): OPENING LATE AT 9:30 a.m.
DIST #234 (RIDGEWOOD COMMUNITY HIGH SCHOOL): OPENING LATE AT 9:25 a.m.